Attorney General Jayantha Jayasuriya PC yesterday informed those who were present at the Party Leaders’ Meeting convened by the President that he would go ahead in filing cases against the offenders revealed in the Bond Commission report and PRECIFAC report. A special Party Leaders’ Meeting was summoned by President Maithripala Sirisena to brief on the follow up action with regard to the Bond Commission report and PRECIFAC report and respond to the claims on missing pages of the copies sent to Parliament. However, both the Joint Opposition and the JVP did not take part in the meeting. Opposition Leader R. Sampanthan and Joint Opposition Parliamentary Group Leader Dinesh Gunawardena had informed the Secretary to the President that they were unable to participate in the meeting. Former MP and Communist Party General Secretary D.E.W. Gunasekara, who took part in the meeting, said Secretary to the President Austin Fernando showed the original report signed by the Bond Commission members to the Party Leaders while explaining that the same was sent to Parliament. “The Secretary pointed out that there were many annexures to the report. 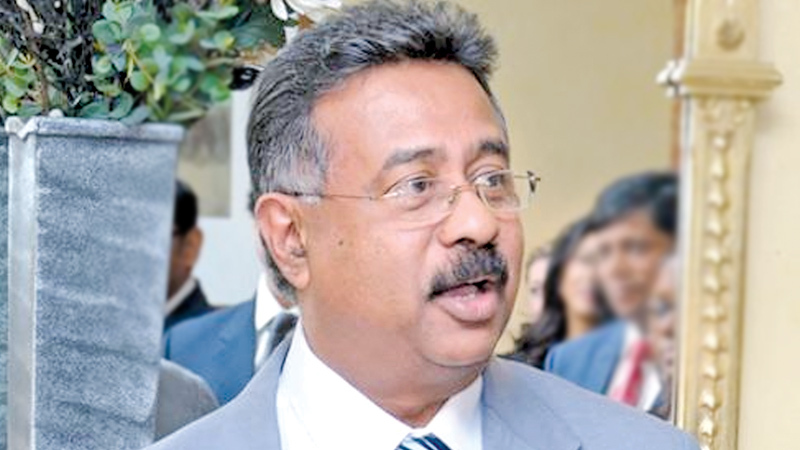 He said the Commission has recommended that certain information should be kept confidential until cases are filed against the relevant parties as they should not get into the hands of accused,” Gunasekara said. He said a general discussion ensued thereafter and the AG gave a brief account of the steps taken by his Department with regards to the reports. The head of the Commission to Investigate Allegations of Bribery or Corruption had emphasised the need for new Amendments to the Bribery Commission Act. “He pointed out the Act has not been updated since 1994 and Sri Lanka could be the only country where the anti-graft legislation has not been brought up-to-date,” added Gunasekara. Asked on the Parliamentary debate on the two reports, the former MP said nothing on the topic was discussed as it has to be decided collectively by the Party Leaders. The Head of CID and several lawyers too attended the meeting. State Ministers Eran Wickramaratne took part representing the UNP, while Minister Patali Champika Ranawaka, Deputy Minsiter Karunarathna Paranavithana, representatives from Ceylon Workers Congress, EPDP and Democratic Left Front were also present. The meeting extended for about one hour. He has not intention of doing anything resembling justice. Behold the latest stooge doing the bidding of a deceitful president. The AG has been promised the vacant slot on the supreme court. How an appointment of this nature can be carried out without the nod of the CC is questionable. But that is what has been promised in exchange for doing the dirty Sri Lankan style. After all what has this AG done so far about all the cases handed over to him? He is either a lackey or a bumbling nitwit. So much for appointing a qualified and capable AG. When we examine the current situation in our beloved country, a fact that stares at us is the total lack of Statesmanship and emergence of dishonest politicians intent on stealing the bread of the people under the guise of helping them whilst observance of the rule of law in the breach, thus disturbing many of our former immortal patriots in the likes of Sir Francis Mollomure, Sir Ponambalam Ramanathan, D, S, Senanayake, S.W.R' D Bandaranaike to name a few, to stand up in their graves to observe with disgust the level to which the country's politics, has decended.